Nursery: Every Sunday morning, Murfreesboro Baptist Church provides a nursery for children from the ages of birth through age 6. Once a child enters first grade, the child remains in the worship service. Volunteers from the congregation work in the nursery on a rotating basis. All children aged 2 through 6 attend the worship service through the Children's sermon and then return to the nursery for play while parents attend the worship service. On warm days, children play on the playground. 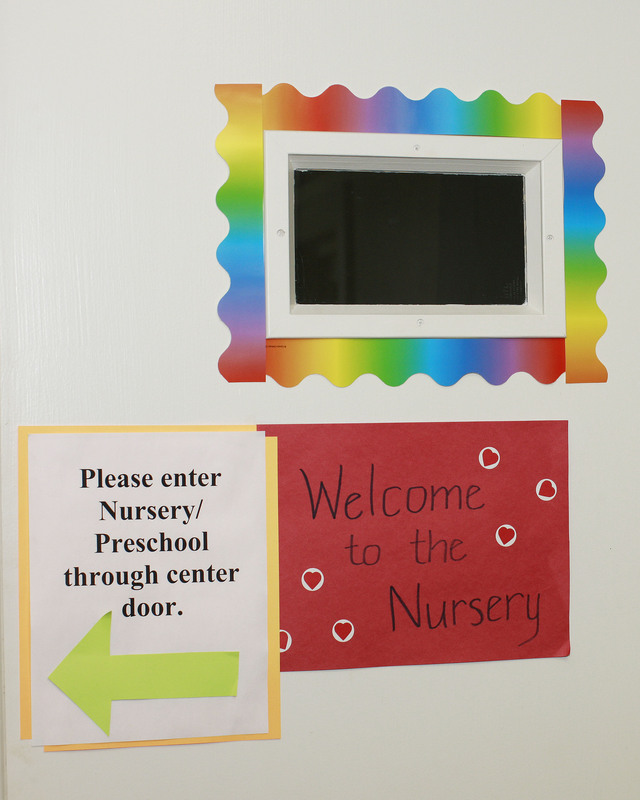 The nursery has three rooms: a baby room for infants, a play room, and a room with tables where children can complete crafts and color.